The following characterizations are offered for polyolefin samples provided by the customer. 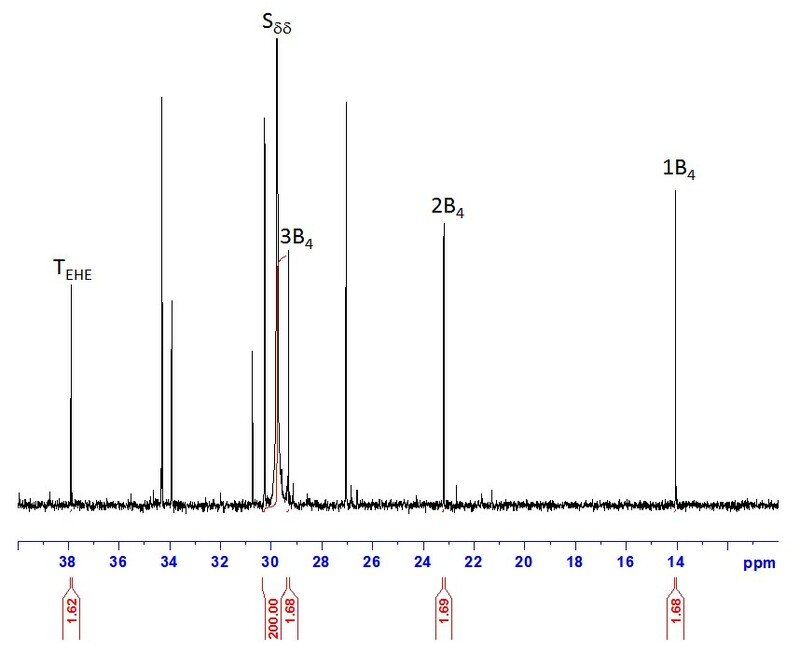 Figures 1 and 2 show typical quantitative 13C NMR spectra of a PP homopolymer and an ethene/1-hexene copolymer sample, with integral values of relevant peaks. It may be worthy to recall here the long tradition of excellence of HTExplore scientists in polyolefin microstructure assessment (see e.g. Busico, V.; Cipullo, R. Progr. Polym. Sci.2001, 26, 443-533 for polypropylene; Busico, V.; Cipullo, R.; Segre, A.L. Macromol. Chem. Phys.2002, 203, 1403-1412 for ethene/propene copolymers). 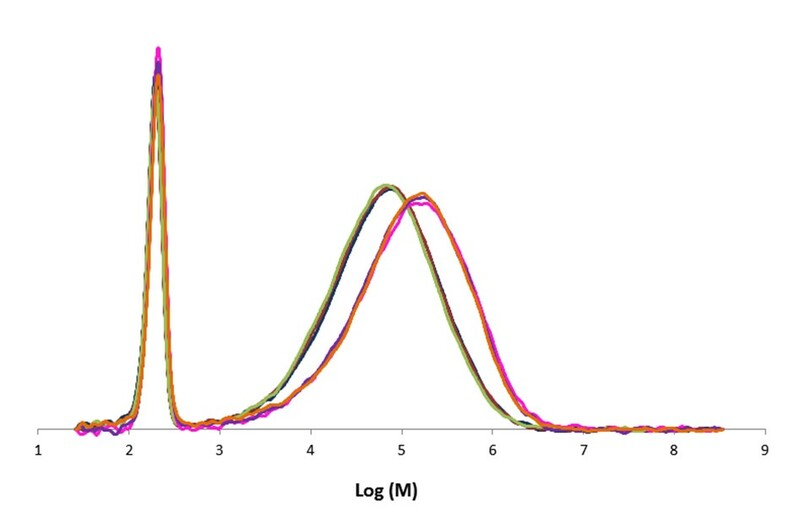 Figure 3 reports overlays of GPC curves for two PP homopolymer samples characterized in triplicate, for a simple visual evaluation of method reproducibility. Figure 1. 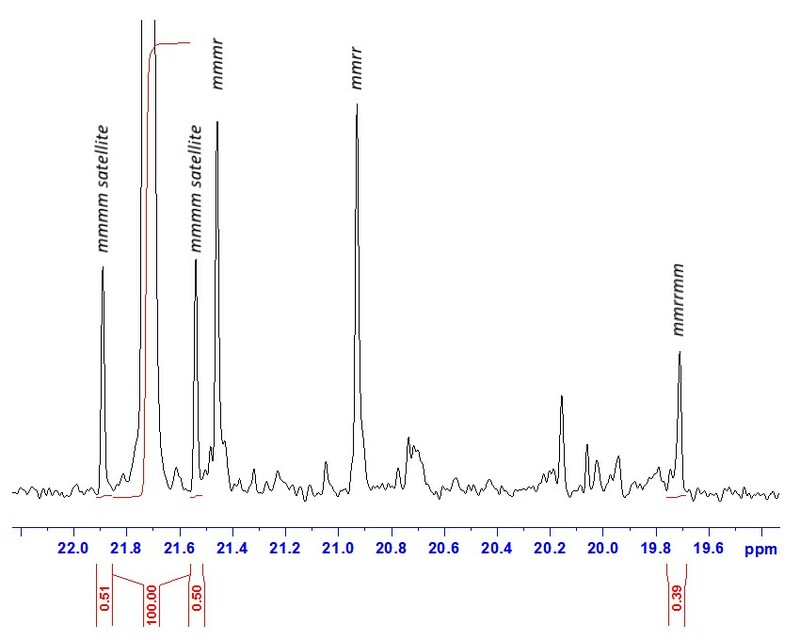 Quantitative 13C NMR spectrum (methyl region) of a typical PP homopolymer sample. Figure 2. Quantitative 13C NMR spectrum of a typical ethene/1-hexene copolymer sample. (the sharp peak to the left is due to the stabilizer).